A new dinosaur themed exhibition will be opening at the National Museum Cardiff this summer which will welcome school visits. The exhibition, Dinosaur Babies, is a touring exhibition which is visiting Wales for the first time. The dinosaur exhibition will be open from 27th May until 5th November. The themed displays will look at the life of dinosaurs, bringing together some of the world’s most amazing finds of dinosaur eggs and embryos. The exhibition will be open Tuesdays to Sundays and tickets for the exhibition are now on sale. 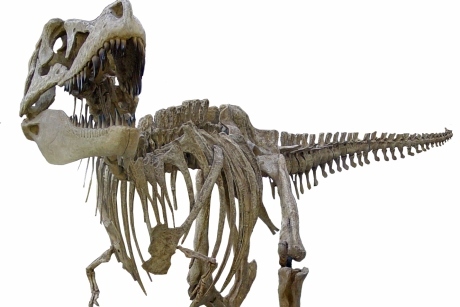 The interactive exhibition will include full size dinosaur skeletons and replicas, as well as touchable models of dinosaur embryos and eggs, and a 2.5 metre model dinosaur nest. A school visit will give pupils the chance to get up close to the model dinosaurs and learn about their lifecycles, from young to adult. Pupils will also learn about how these gigantic beast cared for their young. Students will also discover more about the role of palaeontologists and their dinosaur findings. Children can even have a go in the ‘Big Dig Pit’ and become palaeontologists for the day. There will also be themed activities and events taking place to complement the exhibition. The National Museum Cardiff offers schools resources and various programmes that tie in with the exhibition, such as Dinosaur Detectives, a Key Stage 2 workshops that allows pupils to study how dinosaurs adapted. Self-lead or guided tours can be arranged for schools visiting the museum. Schools wanting to book a visit to the National Museum Cardiff and the Dinosaur Babies exhibition should call the museum’s learning department on (029) 2057 3149. For more information, visit www.museum.wales/cardiff/.